Collaborative tees and hoodies celebrate the hard-won truth. First seen at the brand’s Fall/Winter 2018 runway showcase, Sacai unveils its full collaboration with The New York Times. Encompassing black & white tees and hoodies for men & women, the range focuses on eye-grabbing text over dynamic cuts. Bold prints on the front of each garment read “Truth,” “It’s more important now than ever,” with more slogans emblazoned on the rear. 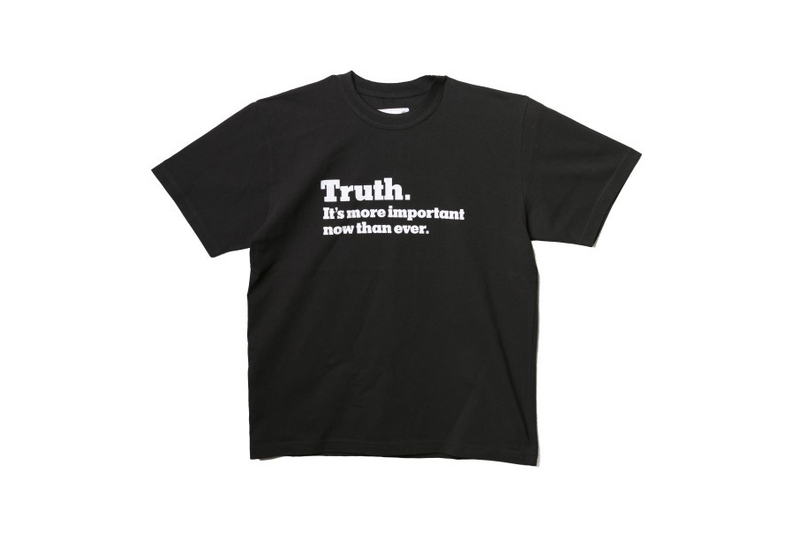 The New York Times’s branding appears on the backside along with phrases like, “The truth is rarely simple,” & “The truth doesn’t take sides.” Subtle detailing includes side zippers on the cropped women’s tee and raglan shoulders on the pair of hoodies, elevating the items beyond mere merch. Shop the collaborative tees and hoodies over on Saks Fifth Avenue’s website for $300 USD and $420 USD, respectively. Most recently, sacai commemorated Dixon’s exclusive Japanese party with exclusive branded tees. Equipped with inner booties for all-season wear. Stream their new collaborative cut here. As well as a new “Friends” feature. “W.M.B.C. by Helinox” blends function and fashion.